All prices in Euro, WAT included. Banners format: GIF, JPG, FLASH. All banners (excluded C4, C5, C6) are shown on all web site English pages. 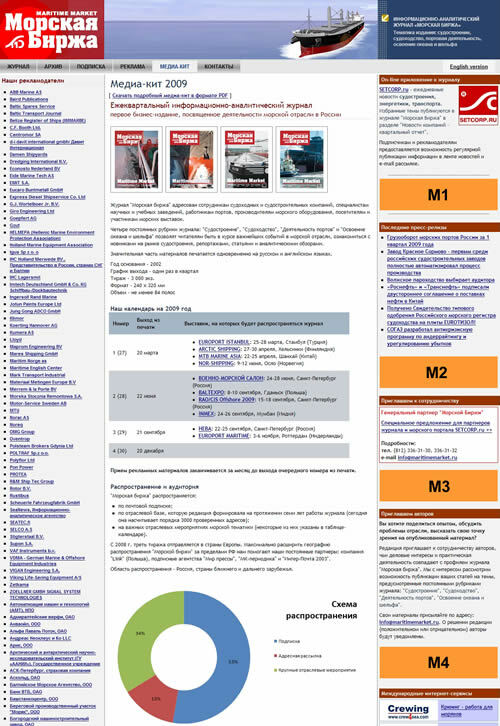 Banners C4, C5, C6 are published only on the home page after main news block. 490 € for one event (Russian + English versions). 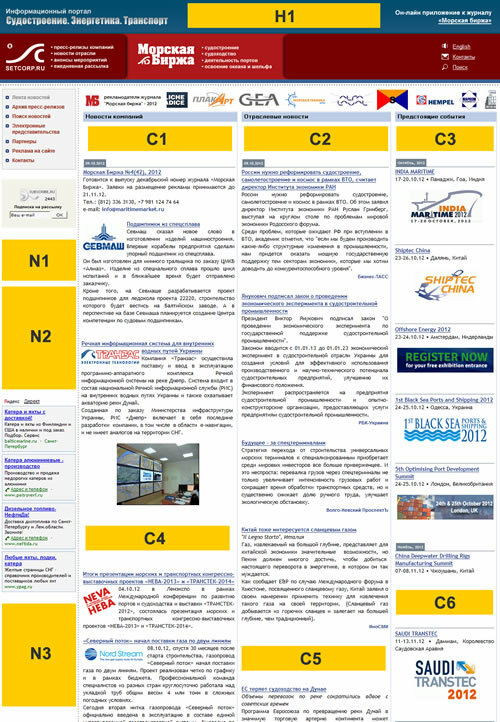 Information block includes: Logo, link to the site of Event + one newsletter reporting preparation to the event + one newsletter reporting results of the even (Various ways of presentation of your information are discussible). Additional service - Russian translation of Press Release: 15 € per page. See the portrait of our subscribers (on-line statistics). "Maritime Market" magazine offers discount opportunities for our on-line advertisers.